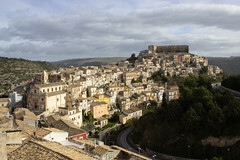 winter – Travel. Garden. Eat. 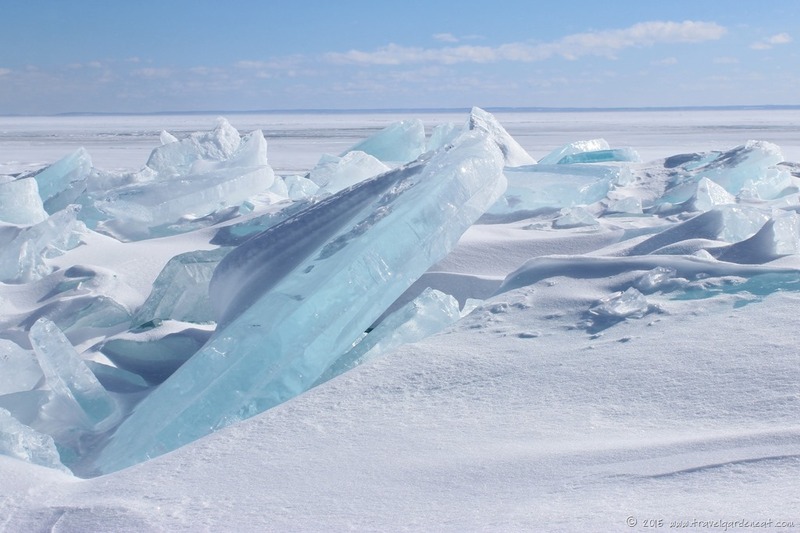 Ice and snow are beautifully monochromatic. 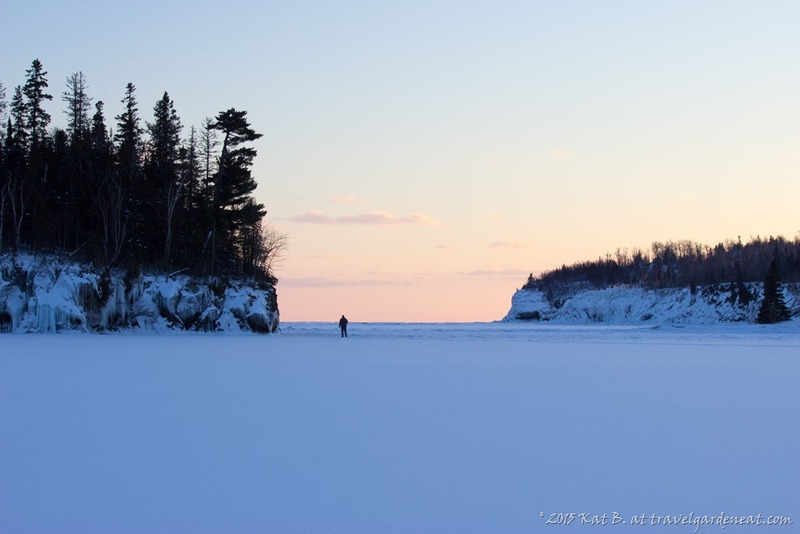 As beautiful as it can be on Lake Superior, hoping that winter is still a few months off! This post was in response to the Daily Post’s Weekly Photo Challenge. “Monochromatic” is this week’s theme. Everyone is welcome to join in the Challenge; further details on how to participate and links to others’ responses are found here. Breaking free from cabin fever seems to have been the theme this month with some of my fellow northern bloggers. 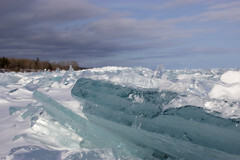 Earlier this month, Heather from “Our Adventures Up North” expressed the frustration of these often gray winter days, in this post, while Kathy of “Lake Superior Spirit” shared deep-winter thoughts from her side of the Big Lake, here, along with photos of the impressive ice fields resulting from the extended cold temperatures. 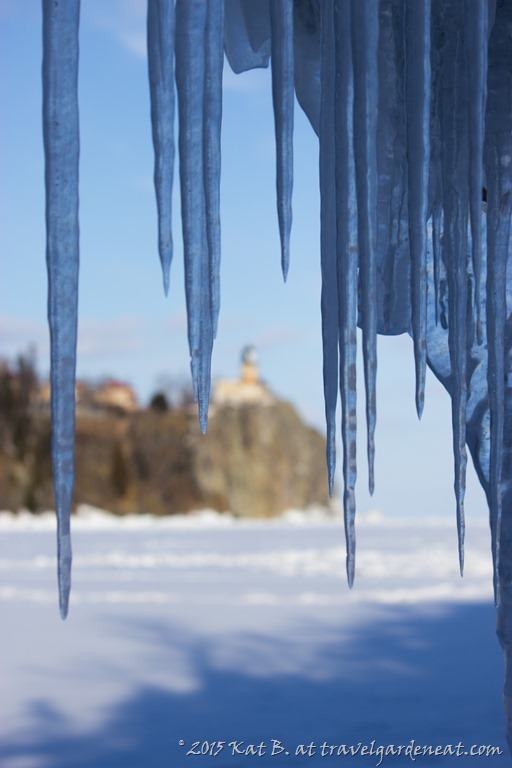 Split Rock Lighthouse State Park houses both the historic site with the Lighthouse and a lovely set of trails and scenic campsites year-round. 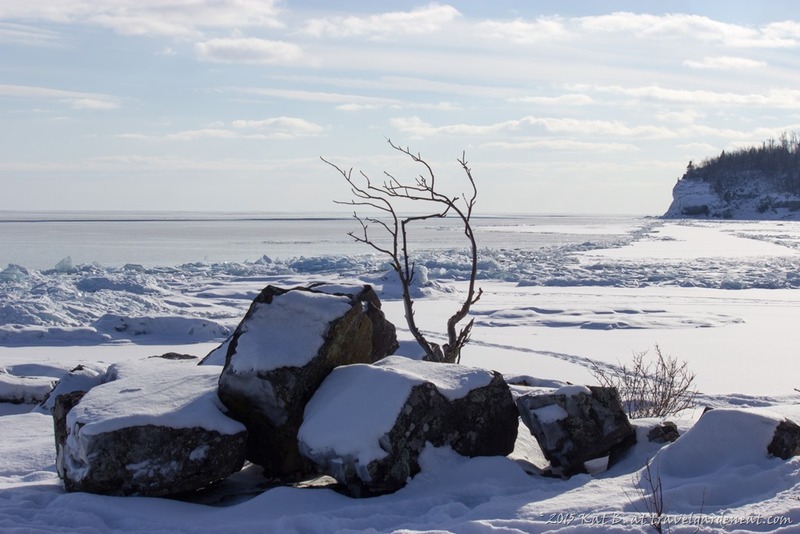 Ellingson Island is located a short distance from the shoreline trail, and only seasonally accessible to foot travel. 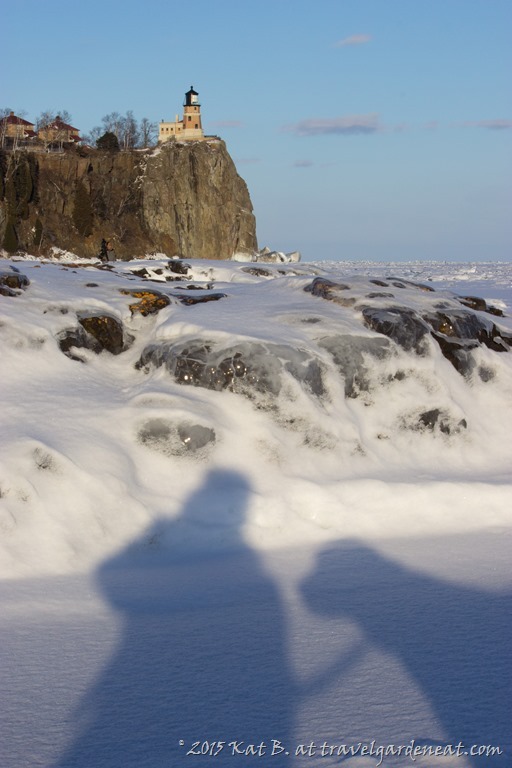 In all the years of living in northern Minnesota and exploring Split Rock’s park and trails, I had never wandered onto the island itself. While I noted the footprints crossing the frozen bay to the island, I initially took the conservative path where the points of land were closest to each other (as seen in the last photo). 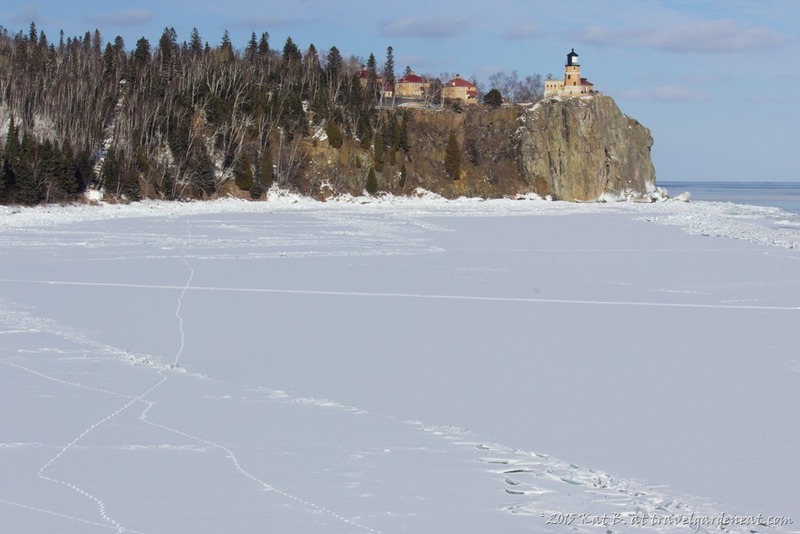 Rounding the southern side of the island, the vast frozen expanse of Lake Superior stretched seemingly forever. 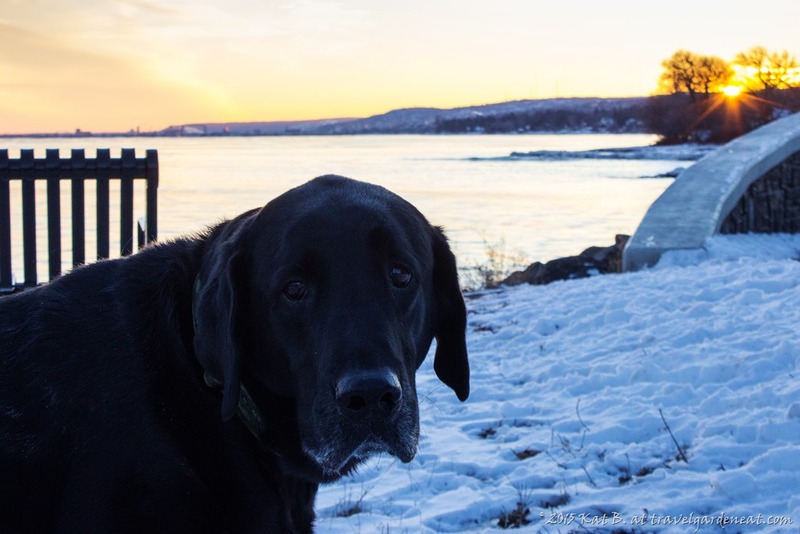 I shared with you a photo of my handsome outdoor companion in this week’s response to the Daily Post’s photo challenge, “Rule of Thirds.” While clambering over the snow- and ice-covered rocky shoreline on the eastern side of the island, we were provided an elevated view of the frozen bay extending to the iconic Lighthouse. 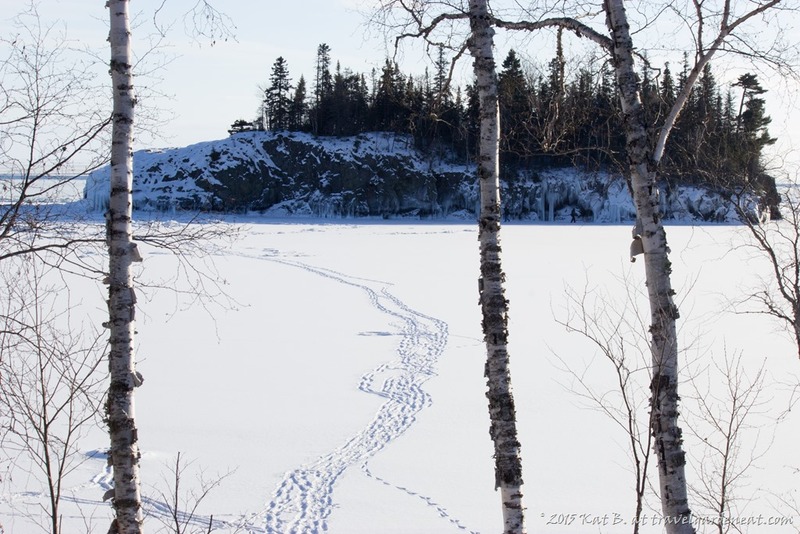 Animal and human tracks criss-crossed the ice, creeping much closer to open water than I dared. The icicles sparkled in the changing light, as the sun moved across the sky. 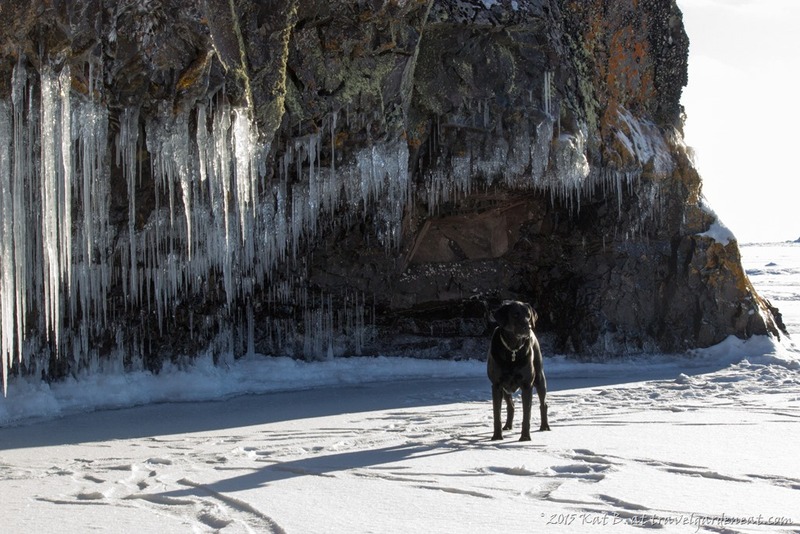 Corbin and I had planned to make a short stop at Split Rock before driving further up the North Shore to Temperance River or Tettegouche State Park, but we instead found ourselves enjoying a leisurely hike and simply appreciating the frozen beauty surrounding us. The sun sank lower and shadows grew long. Soon, the sky began to glow a soft pink and purple with the sunset, and the forecasted return of bitter cold could already be felt in the air again. 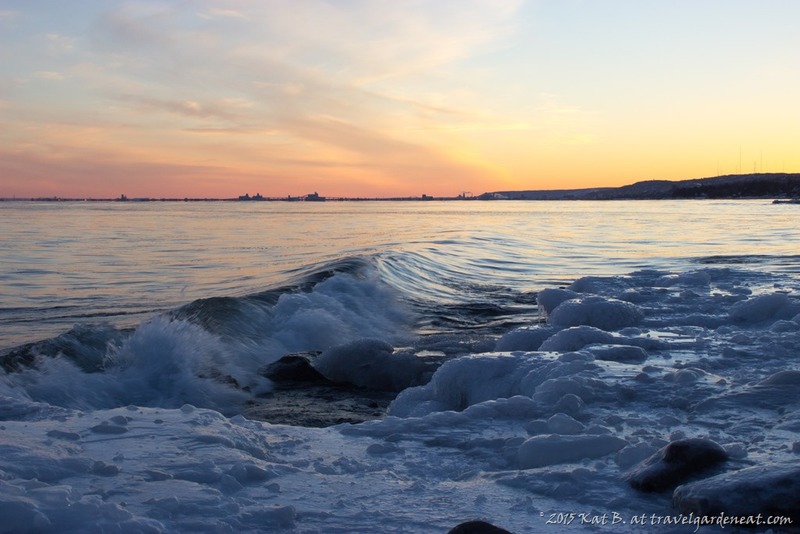 With this week’s photo challenge theme in mind, I headed out to the ice … the colder temperatures of February have created icebergs on Lake Superior and a solid pile of ice slowly building out from shore. It was 5 degrees Fahrenheit (-15 Celsius) as I parked the car late afternoon yesterday. By the time I left over an hour later, my gloved fingers were starting to go numb and the sun was setting. The beautiful changing light of the sun playing across the ice is always hard to leave (check back later this week for more from this afternoon excursion onto the ice). 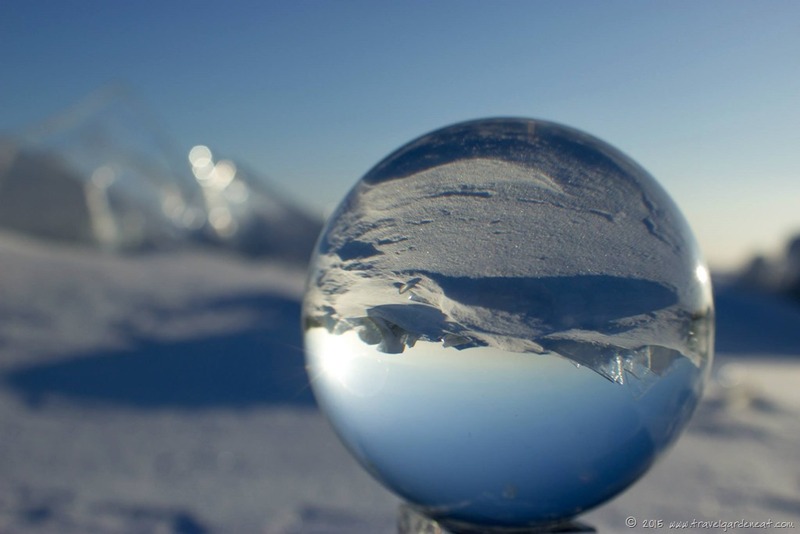 For now, though, this is my take on “Symmetry” – the crystal ball’s image of the ice shards pushed up by the force of the continually moving water under the ice-covered shores of the Lake, reflecting an exact symmetrical view but on a totally different scale — a reminder that the raw beauty of Mother Nature is rarely even and orderly. This post was in response to the Daily Post’s Weekly Photo Challenge. ”Symmetry” was this week’s theme. Everyone is welcome to join in the Challenge; further details on how to participate and links to others’ responses are found here. A photo is worth a thousand words, but sometimes the picture is not complete without engagement of the other senses. 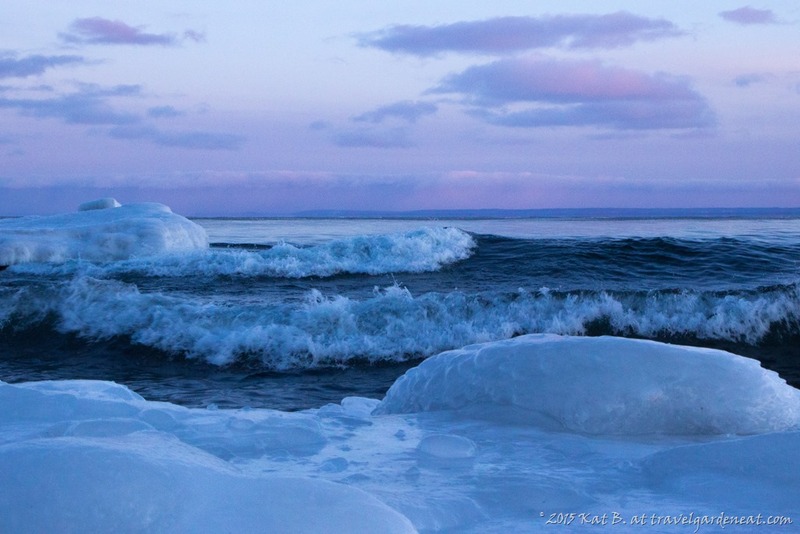 Photographs are wonderful for capturing a serene sunset, or for trying to convey the beauty of Lake Superior’s icy shore as the sky turns that soft purple hue in the moments between sunset and darkness. I have been craving time outdoors, even with bitter cold temps and lack of substantial snow cover. I need those periodic breaks to just hike with my own thoughts and my favorite companion by my side. The hours in the day are never enough, so the gradually lengthening days are a welcome change, providing more opportunity to head out after work before the sun sets, and enjoy the waning light…. even if it’s not a proper hike. Sometimes, a little is better than nothing …. We stretched our legs, stopping at various points along the shore to soak in the changing light at the end of the day, jogging to another spot to watch the waves roll over and burst against the shore. The sky changed from purple to blue on the eastern horizon, while looking westward where the sun sank from view, the sky held on to its golden glow. The still images capture part of the Lake’s allure, but something is missing. Sometimes you need to hear the waves …. 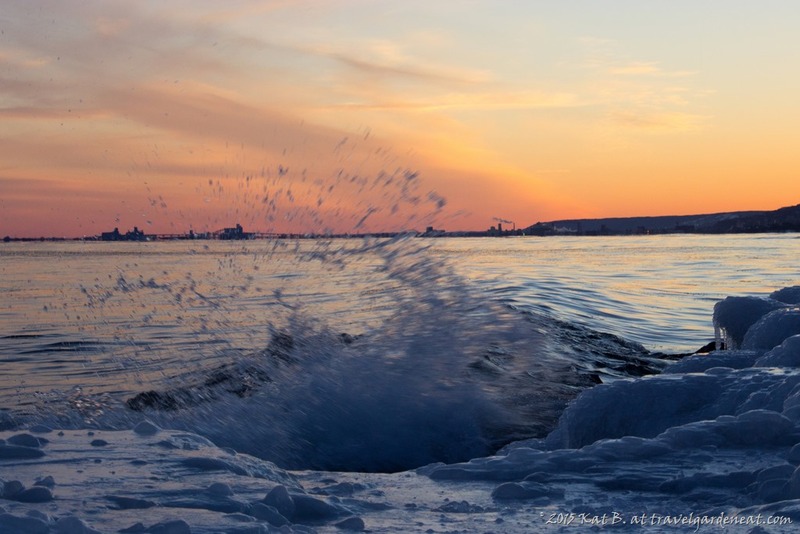 sometimes you need to watch the magic hue of fading light as it dances across the water ….